If you’ve ever bought a house, you’re well aware of the stack of papers you must read through and sign — over and over again. The paperwork can be intimidating. With the borrower in mind, the Consumer Financial Protection Bureau this year is doing a major overhaul of the mortgage documents used during the application and closing process. The revamped forms will be more user-friendly and a welcome change for borrowers, says Jeann Digman, vice president of mortgage lending at Dupaco Community Credit Union. 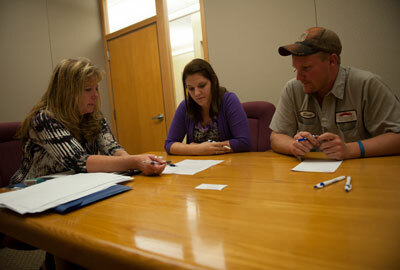 Homebuyers can expect to see the new documents beginning Aug. 1. In the past, the documents had to be prepared 24 hours before closing. Under the new regulations, though, the forms must be ready three days in advance, providing borrowers more time to review the agreement, Digman says.